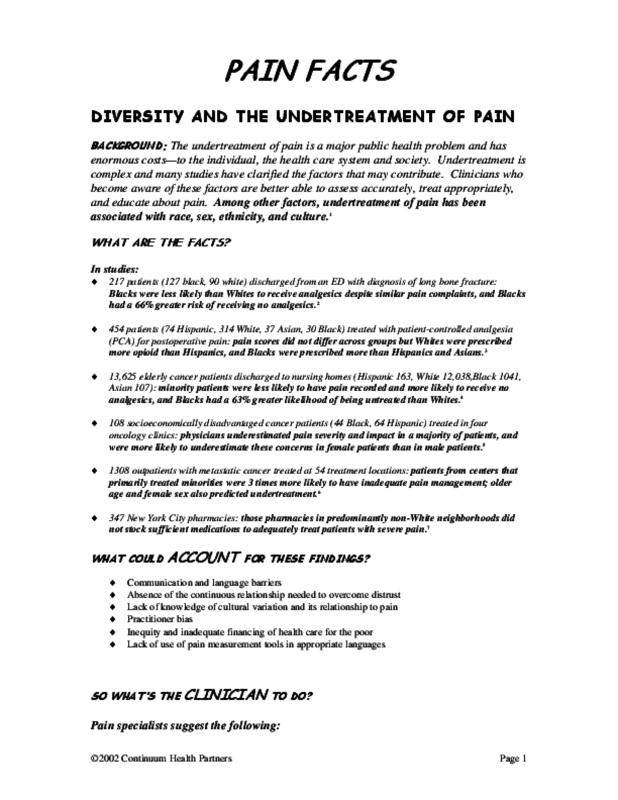 Despite Australia's cultural diversity, there is little doubt that ethnic minority groups continue to have less access to health care systems, let alone culturally appropriate care, including palliative and end of life care. Such disparity of access for all individuals requiring such care ignores a basic human right to live and die in comfort. 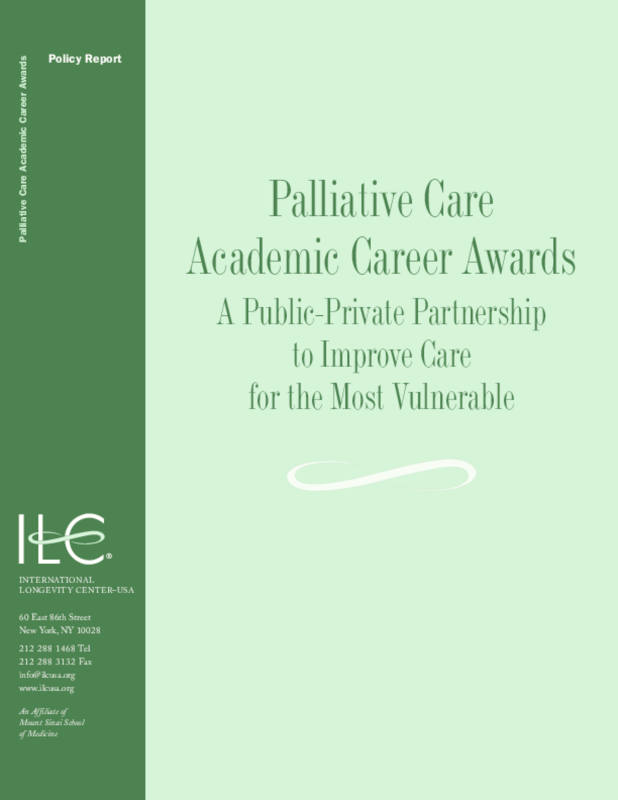 This article will discuss some barriers that may limit people of different cultural backgrounds receiving appropriate palliative and end of life care, and provides some generic approaches that may assist general practitioners when considering care needs of people from different cultural backgrounds. 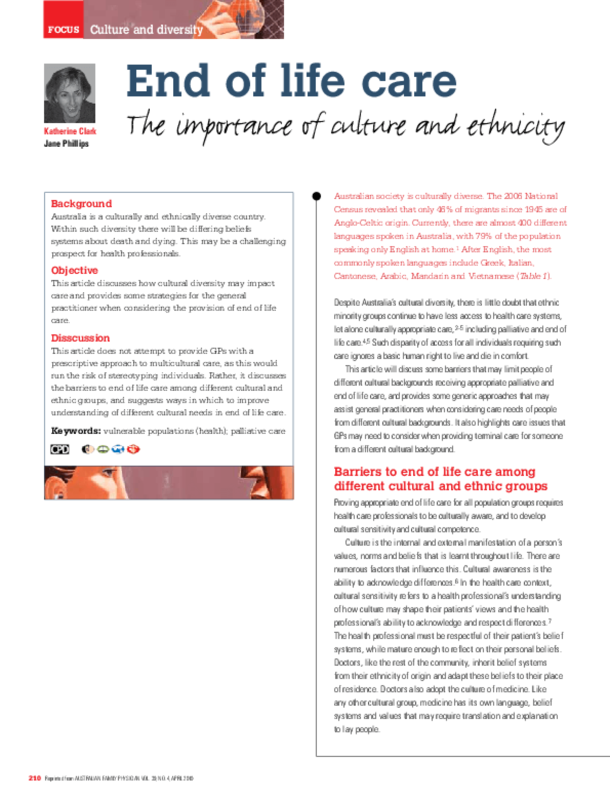 It also highlights care issues that GPs may need to consider when providing terminal care for someone from a different cultural background. 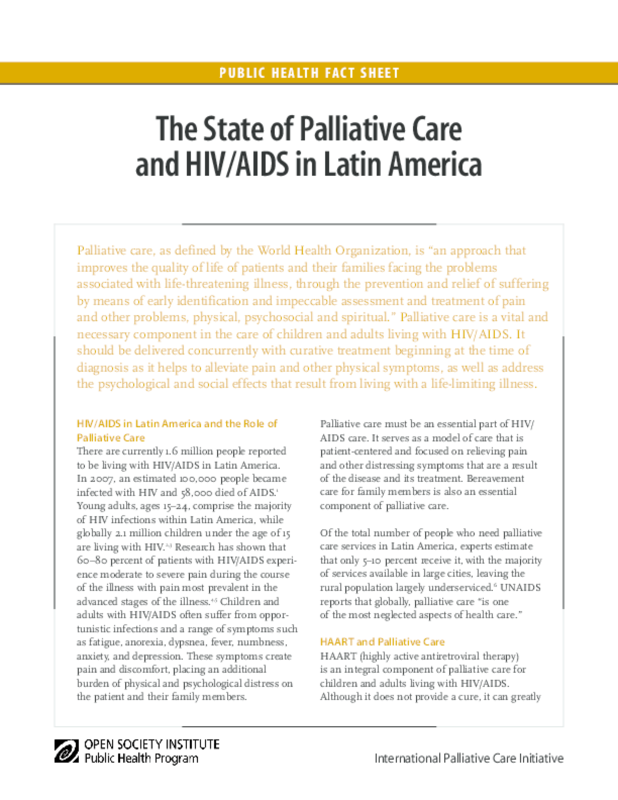 Outlines the role of palliative care for HIV/AIDS patients, its availability, and barriers, including a lack of drug policies and awareness among healthcare professionals. 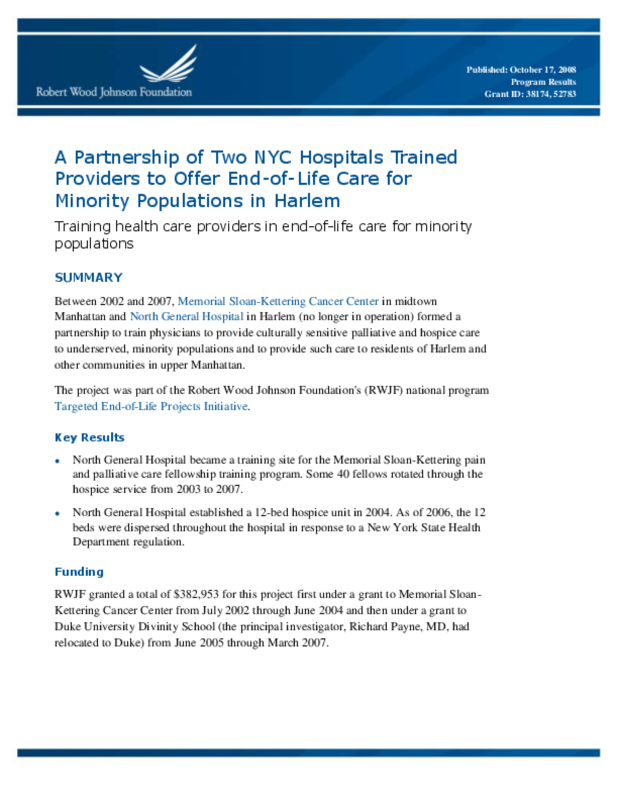 Lists keys steps to making palliative care part of a national agenda. The European Programme for Integration and Migration (EPIM), funded by the Network of European Foundations (NEF), aimed to open debate and encourage broader commitment to the development of constructive integration policies at the EU level, and promote the linkage of these policies with Member States at the national, regional and local levels. The purpose of this short policy paper is to draw out a number of the recommendations which arise from the final reports of the grantees, and discuss them in the light of the current policy agenda within the European Union. Palliative care, an increasingly important medical field that focuses on the relief of pain and suffering, is in danger of not being able to meet the needs of America's aging population, or anyone of any age suffering from serious or life-threatening illness.